When looking at furthering their education, single moms find that the cost of education is definitely a cause for concern. Grants, student loans and scholarships are the three most common ways of bringing in financial aid in the cost of the education. While the purpose of all these three is to lower the financial load on the student while pursuing higher studies, these three aids are very different from each other. 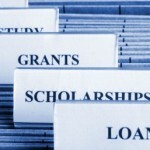 In the case of grants and scholarships, you do not need to pay back the money. The grant is money given by the state or it can be a federal grant that does not need to be repaid after graduation. The scholarship is money that is won by the student on terms of merit, or other criteria, and again does not need to be repaid. A student loan on the other hand has to be paid back to the institution from which it was borrowed and in most cases with the interest amount added to the principal. You need to qualify for all of the three but these requirements are different. In order to qualify for a scholarship, the qualification rests on merit, certain profession, or other criteria. If the student meets the certain criteria, scholarship is awarded. A grant on the other hand has to be requested by the student. The student will need to apply for the grant and then convince the state that he/she deserves the grant money. In the case of a student loan, the money is requested from a bank after convincing the bank that the person will be able to repay the money. Merit does not come into play in the case of a student loan and the bank only needs to be convinced of the person’s ability to pay the loan back. A scholarship is given to the student only. A grant is also only awarded to a certain student. The student will need to apply for the grant, and once the requirements are fulfilled, the grant is awarded to the student. A student loan on the other hand can be taken by the student or the parent of the student too. In the case of the parent taking the loan, the repayment is made by the parent and not the student. However, the money can only be used for the specific education expenses for which the loan has been issued. Understanding the difference between a student loan, a grant and a scholarship will help you to apply for the appropriate financial help. Scholarships are the easiest to obtain, once the requirements are met. The application is easy to follow, and paperwork is minimal. Student loans do require a bit more paperwork and follow-up, while a grant take a lot more effort since the student needs to make the case for awarding the grant, and there can be numerous applicants for the same grant.